This wonderful movie was filmed by Vaha and produced by Ngaina. A special thank you to Mrs Richards for sharing her Cantonese culinary skills. Grant James Fox was born 6th of June 1962 in New Plymouth. He is part of the New Zealand rugby union and played for the All Blacks. He is not just a rugby player he is also a soccer player. He was educated at the University of Auckland and Auckland Grammar School. 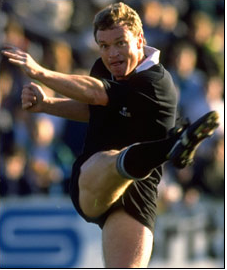 During his time with the All Blacks from 1985-1993, he wore the number 10 jersey and he was the main goal kicker. He scored 654 Points from 46 All Black test matches. Tule's Post about Blackout Day! We are the Champions my friends...! 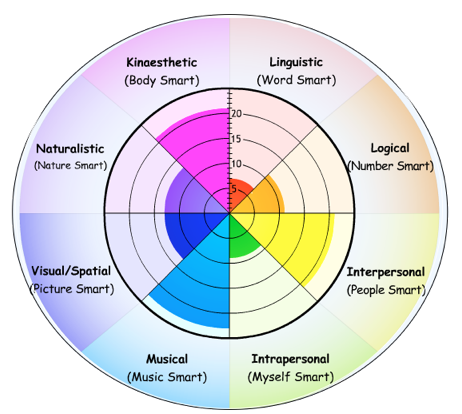 This week Room 22 have been learning about the Multiple Intelligences. Ms T showed us a site that showed us what weaknesses and strengths we have. My main strengths are: Music smart, people smart and body smart. My weaknessess are Nature and picture smart, word smart, number smart and Myself smart, those are the main things I will be working on. 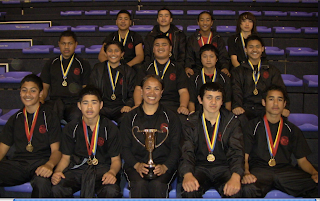 Teari's Post about our NZ CHAMPIONS. This morning our school Pt England welcomed back our year 8 boys who went down to Tauranga to play Rugby Sevens. They left on Sunday the 28th of August and they arrived back here in Auckland on Friday night on the 2nd of September as the New Zealands Champions. As we heard the updates at the end of their games we were extremely happy because all the updates that we received were very good. They won every game that they played. 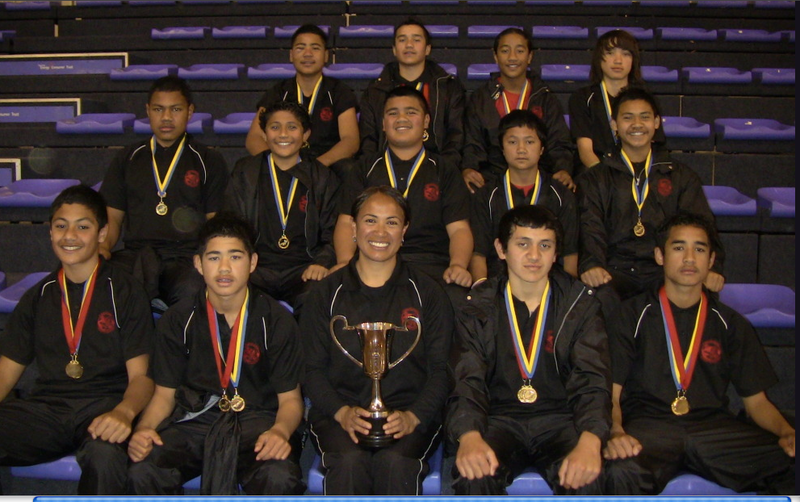 Royal Oak Intermediate were the National Champions (from last year) and our team challenged them in the Grand Finals. When we heard that they were challenging the champions we were really happy and we were hoping that Pt England would win. After the game finished we heard that they had beaten Royal Oak and the score was 31 - 5 to us. So there it is, Pt England year 8 Sevens Rugby Team are the New Zealand National Champions. Every Thursday afternoons Room 22 (Yr 7 & 8 Class) and Room 7 (Year 2 class) come together in the library for Tuakana Teina Reading. Tuakana means Big brother/sister and Teina means little bother/sister. We were put into pairs with the juniors. There are a number of reasons why we do this. The main reason is to work with the younger kids so they become whanau (family) and the second reason is so we (us seniors and juniors) get better at reading. We have turns at reading to each other and it's alot of fun. You should try it, maybe you have a junior class or senior class that you would like to start a Tuakana/Teina Reading programme. It's for 1/2 an hour each week and we love it! Term 3 2011 - Keep your eye on the ball! Kia ora koutou katoa and Welcome to Term 3. We are all really excited about this term because of the Rugby World Cup. Our inquiry this term is based around "Keeping our eye on the Ball" This means we are focussing on identifying some of the attributes of champions and doing some inquiry around the 20 nations involved in the World Cup. Watch this space! Schools SHOULD be cool... like ours! 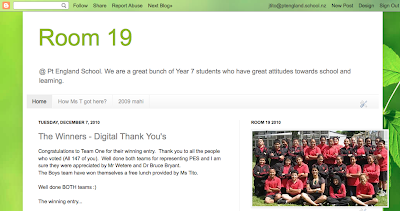 Did you enter the edtech 'School is Cool' competition? 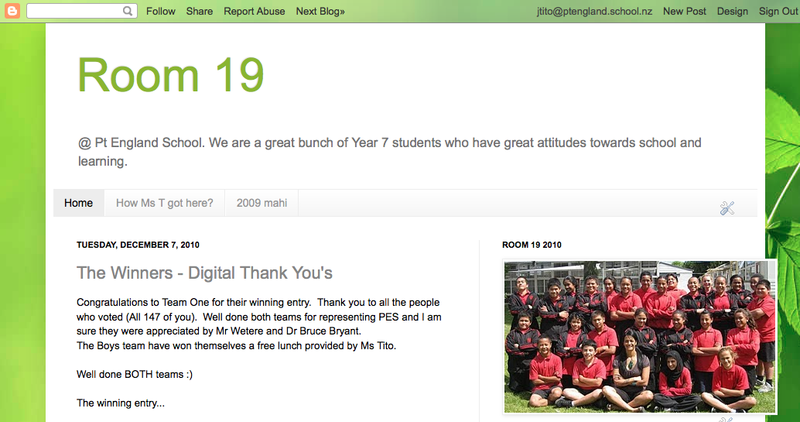 We were pretty keen to be in to win an ipad for our class so here's our entry. 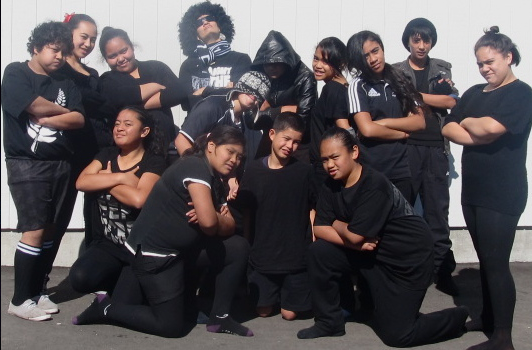 It was the Room 13 kings who inspired us too... so thanks Room 13 and good luck :) We have to say a huge thank you to Henry Tumanuvao for using his talent to share our ideas about why we think school is cool. Henry was our graphic artist, videographer, producer, editor and creator - You are amazing! 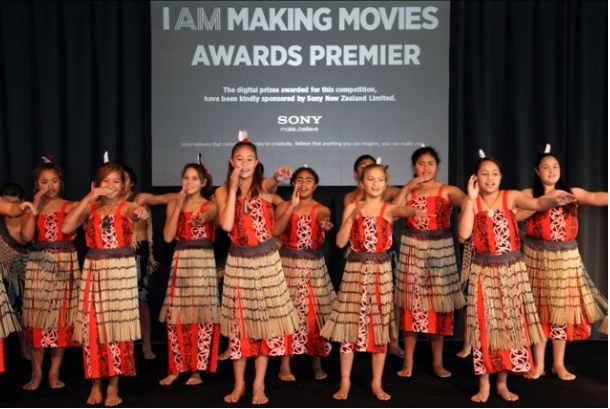 Thanks also to our voice over experts Amos Hughes and Te Rangimarie Matatahi. We hope you enjoy our entry! Awhina and Ngaina worked very hard to put together a movie to share about our 'Fonterra Science Roadshow' experience. SchoolTV Part Three June 24th 2011 from SchoolTV on Vimeo. My name is Benjamin and I am in Room 22. Guess what? Its my Birthday today because it is Friday the 17th June 2011. When I get home me and my mum is going to go shopping at pack n save. We are going to have chips and fizzy drink for Dinner to night. I am 12 years old today. I love being in Pt England school. Its my birthday today and its also Miracles birthday too. He wore a black wig and a purple necklace. we both stood up on the chair and my teacher played the song happy birthday. We both laughed with joy and I can’t wait until after school. This year every Friday for an hour and a half the year 7 and 8 students have Taonga time with different teachers in different classes. Taonga means treasure in Maori. Why do we do this you may ask? We do this to learn about the different passions of our teachers. For instance one of my teachers passions is kapa haka. We have a number of groups that we split up for Taonga time and they are; kapa haka, sport, music, science, and team building. 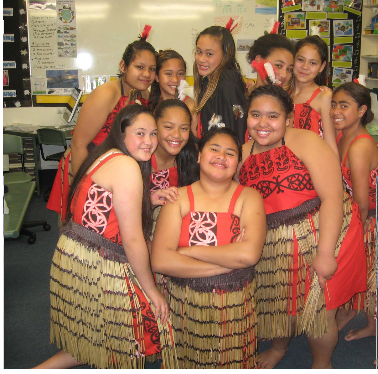 The group that I am in at the moment is kapa haka. We learn new songs and new actions. We are performing for a powhiri in a couple of weeks. 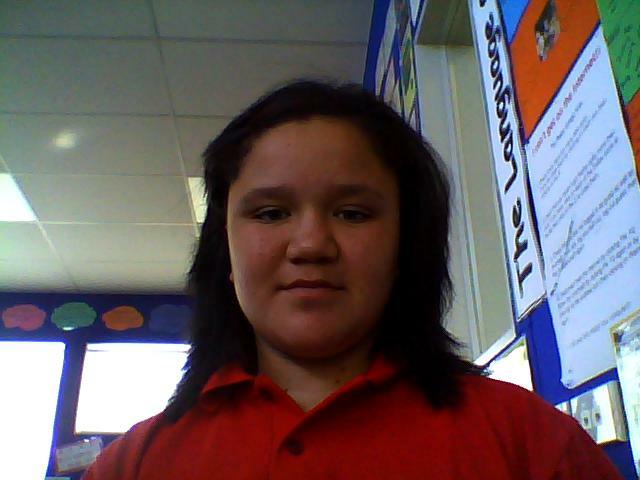 I feel very pleased to be in kapa haka. We hope we do well at the powhiri and impress the teachers. I really liked kapa haka in the last session! On Thursday the 5th of May, Room 22 had their very first netball session with one of the netball helpers called Emma. We have it every Thursday after lunch from 2 o'clock to 2.40 at our school netball court outside the stuff room. Our first netball session, we did a whole lot of dynamic stretches. We did bum flicks, high knees and also the grapevine. After learning all these dynamic stretches I can now use them when I’m getting ready for my netball game or when I’m training. To finsh of our session we had a good game of corner ball. Corner ball is smiliar to netball but instead of 7 players we split into two teams of 16 players. Also to score a goal, a player from each team had to jump into the corner that was surrounded by small cones and catch the ball. The game was fun and it also went well. Our session went well and I also enjoyed it. I really can’t wait for our next session. Kia ora koutou katoa. It's great to be back and we are reared up ready to go! This term we have a technology focus and are looking forward to learning about Innovation, Discovery, Creativity, Practicallity and Imagination. Hi my name is Teari Harris, I am 11 years of age. 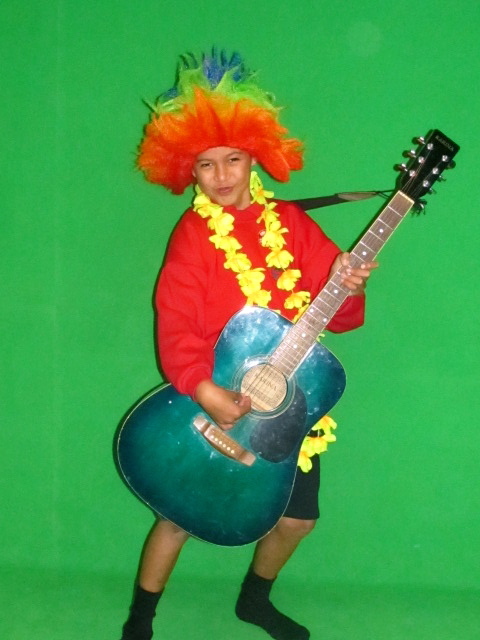 I am Maori, Cook Island. I am the youngest child of 6 in my family. I have 1 sister and 4 brothers. I just started at Pt. England Intermediate, I am in Room 22 and my wonderful teacher is Miss Tito. 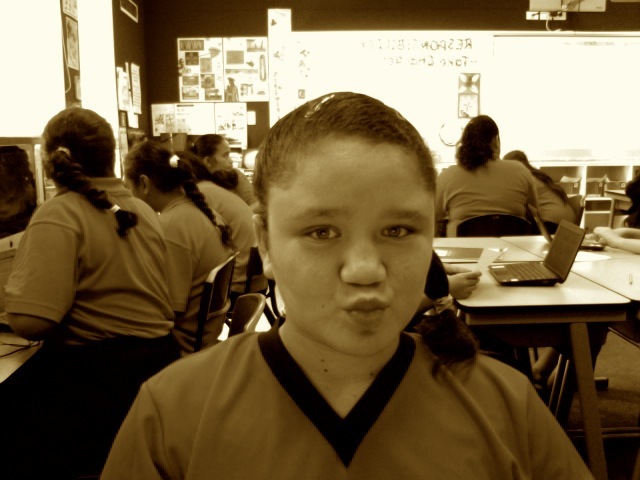 My favourite subject is maths and my favourite sports are swimming and netball. I hope I enjoy it at Pt.England and have heaps of friends. As a part of our research my class and i have been studying about statistics. Statistics is finding things out. As you can see i have made a graph from the foods that we voted for. Beetween Curry Kumara and Nachoes there is 32 votes for Nachoes and least amount of votes for Curry kumara. Wow, time sure does fly when you're having fun. The students in Roon 22 have settled into our daily routines nicely. We love our new senior building and bright, modern classrooms. We are also in full swing of integrating the use of netbooks into our learning and are definitely experiencing highs and lows on a daily basis. Check out this short movie showing our gorgeous new senior space and the nifty netbooks. Ka kite to the old.... Kia ora to the new! Anyway... I'm pretty excited about the year ahead and I look forward to working with my new whanau (Staff and students) in not only Room 22 and Team 5 but the whole of PES. I will do my best to keep you in the loop with what's happening in our learning community. So, watch this space and "Keep cool til after school!"